Five Below Inc (NASDAQ: FIVE) stock was trading higher by more than 15 percent early Thursday morning in reaction to the retailer's first-quarter results. The company said it earned 39 cents per share in the first quarter on revenue of $291.61 million and 3.2 percent comp growth. Wall Street analysts were modeling an EPS of 33 cents and revenue of $291.61 million while comps rose 3.2 percent. Management also issued a strong guidance for its second quarter and full fiscal year. Rev Group Inc (NYSE: REVG) was trading lower by more than 17 percent after a mixed fiscal second-quarter report. Management also lowered its full-year net income guidance and full year sales guidance due to a "timing lag between two major contracts in our transit bus business." Athersys, Inc. (NASDAQ: ATHX) was trading higher by around 20 percent after announcing the expansion of a collaboration with Japan-based pharmaceutical company Healios. As part of the revised agreement, Healios received rights to develop and commercialize MultiStem in Japan in exchange for $20 million upfront and up to $360 million in milestone payments. 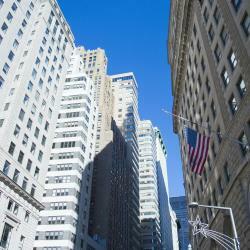 General Electric Company (NYSE: GE) was trading flat after announcing a new subsidiary. GE said it created a new fully-owned subsidiary called AiRXOS which will focus on traffic management for unmanned aircraft systems. Chimerix Inc (NASDAQ: CMRX) was trading higher by nearly 3 percent after the FDA granted an Orphan Drug Designation for the company's treatment of smallpox called brincidofovir.